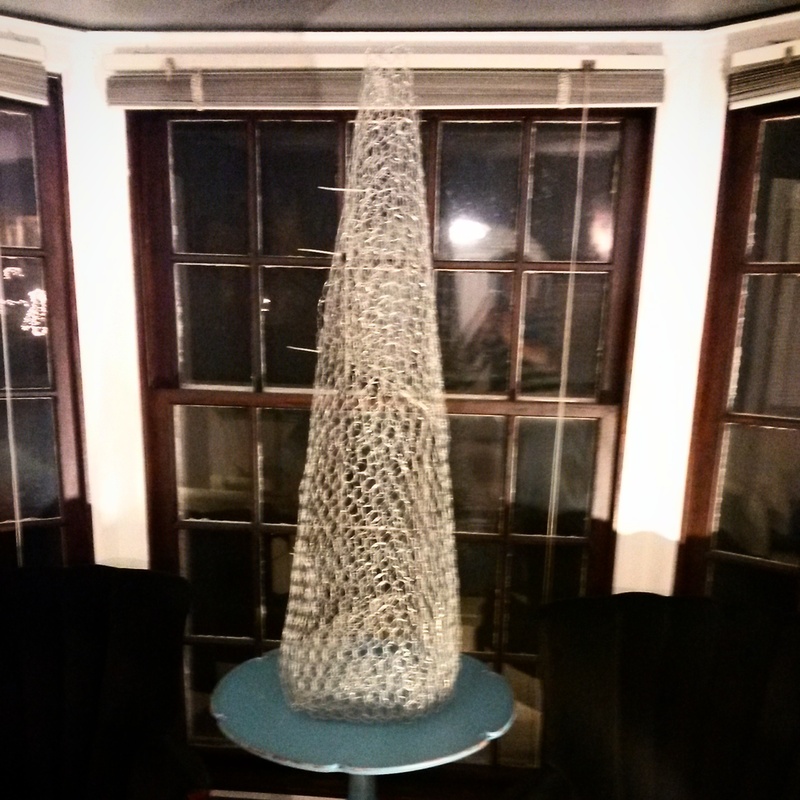 With the chicken wire, doubled the height I wanted (plus a foot extra). Folded it in half for more stability, then rolled it into a cone. Zip ties bind it to hold the shape. I can continue to bend & form it to get it just right before the burlap goes on.